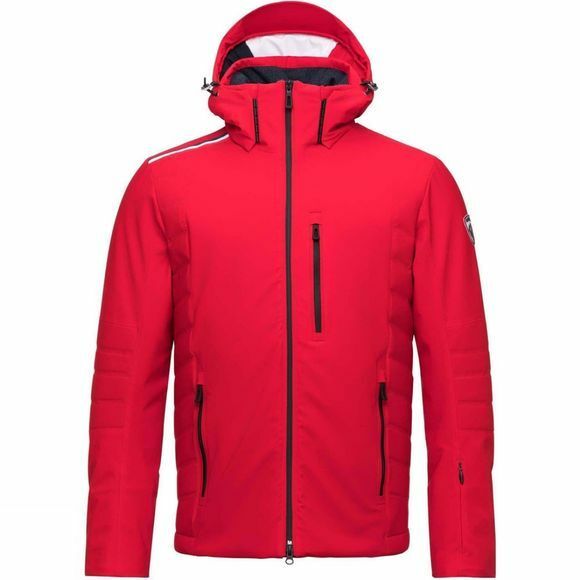 The Mens Medaille Jacket from Rossignol is a race inspired ski jacket that features four-way stretch for natural, unrestricted movement as you arc turns down the fall line. Built with waterproof protection and filled with highly efficient insulation, it features embossed panels on the elbows and sides. 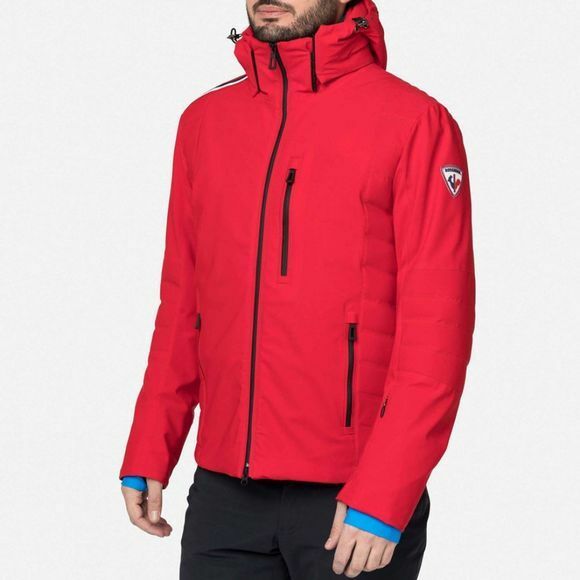 A detachable hood, rapid-cooling vent zips, and a removable snow skirt let you adjust to changing conditions.